It is nearly sixteen years since the publication of the first Harry Potter novel and few would argue the immense impact of J.K. Rowling’s series in every corner of the globe. Indeed, there are some young Muggles who cannot remember a world without the famous boy wizard. Whilst the success and cultural influence of the Harry Potter series is undeniable, of late there has been a noticeable shift in the place young Harry and his friends occupy in the hearts of the young. The first hint I had of a waning preoccupation with Harry surfaced upon the release of the final movie back in 2011. During a wide-reading lesson, my class of Year 7 boys were discussing the upcoming film release with much anticipation. During the ensuing discussion, I discovered the majority of boys had not read the final book in the series and furthermore, had no intention of ever doing so. They all reported quite cheerfully that they had been waiting for the film’s release to “see how it ended”. Thank you, Hollywood. Apparently this reluctance to read the actual book is not restricted to boys. A recent change of school now sees me enjoying wide-reading lessons with girls and, much to my dismay, I have discovered a similar avoidance of Harry. The prevailing reason given for not bothering to read the books is “we’ve seen the movies; we don’t need to read the books”. Again, thank you, Hollywood. Regular readers will know that I am a fan of the movie tie-in, as it frequently sparks eager interest in a book. A fortunate side-effect of the hoopla surrounding certain blockbuster films is often the rush of fans to the bookstore, impatient to read the book and/or series. The Hunger Games is a recent example of this movie-inspired hype. Sadly, the rush to read Harry Potter appears to be at an end. The story has reached saturation point and as such has created a disturbing predicament for both educators and parents: like Neville Longbottom’s cauldron in potions class, Harry Potter has gone off the boil. The exhilarating whizz-banging blast of spells has faded away to a sad fizzle. 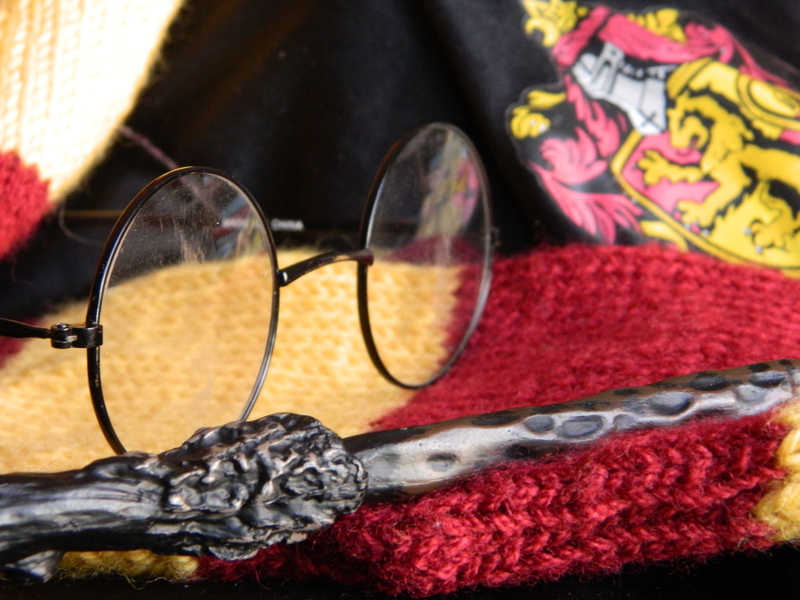 At the height of its popularity, the Harry Potter series was nothing short of a phenomenon. Rowling’s imagination, clever characterisation, warm wit and resounding themes captured the hearts of readers and non-readers around the world. Children ran around playgrounds shouting Expelliarmus! and Wingardium Leviosa! College students created their own Quidditch league, Hermione made going to the library cool, and the word Muggle entered our lexicon forever. Indeed, there was a time back in the early part of the 21st century where it was hard to find anyone who hadn’t read some or all of the Harry Potter series, or at least expressed the desire to read it. In short, Harry got both kids and adults reading. And as my Reading Rules explain, often all it takes to trigger a lifelong reading habit is enjoyment of and engagement in one book – and Harry Potter was certainly the trigger for a generation of readers. The majority of these Harry Potter readers are now in their twenties, members of the so-called Generation Y. They grew up reading the print editions of Harry Potter, eagerly anticipating the release of each subsequent book. Later, they were the first fans at the midnight screenings of the films, resplendent in their Gryffindor scarves and Death Eater masks. Despite receiving bad press for various traits, Gen Y is an incredibly smart and articulate group. I am constantly blown away by the intelligence and critical thinking abilities of this generation – the Harry Potter generation. Of course Harry Potter didn’t create these smart kids – but maybe their habit of sustained, deep reading had a profound influence on the way they turned out. The world of reading has undergone significant changes and challenges since these Gen Y readers were children. Today’s children often read from a screen and not from the printed page. Whilst I maintain that any reading is good reading studies are beginning to discern a difference between reading from a screen and the printed page, as this Scientific American article reports. Indeed the National Literacy Trust in the UK believes that children’s reading progress is hindered by Kindles and e-books. Further studies into the long-term effects of reading from non-print sources are clearly needed. But it is irrefutable that a child reading an e-book from a connected tablet such as an I-pad or Kindle Wifi has to compete with many distractions whilst reading – checking social media sites, online chatting and gaming. The ability to become totally immersed and absorbed in a good book is lessened by constant distraction – and this must detract from the enjoyment of the reading experience. Does this lack of immersion and subsequent lesser enjoyment of the reading experience explain the decline in reading among our children? What will be the societal result? Will reading decline to such an extent that we become a post-literate society? Since the release of Harry Potter and the Deathly Hallows in 2007, the final book in the series, there has been a void in the reading world. Yes we’ve had the Twilight craze, but this was far more popular with girls than boys. John Green is arguably the most successful author for teens at the moment, in large part due to his clever marketing via social media (a big hello to any nerdfighters out there). Green is undoubtedly an exceptional writer. His novel The Fault in our Stars is being made into a movie, and there is a currently great deal of online hype about this. But few adults will have heard of either the author or the book. Perhaps the nearest rival we’ve had to the Harry Potter phenomenon in recent times is The Hunger Games. But with sales of 26 million against the 400 million of Harry Potter, the comparison is almost embarrassing. It’s clear that nothing comes close to Harry. And that is a problem. Because anecdotally most educators will tell you that this generation is not reading as much as previous generations. And when they do bother to read, many of them are reading e-books. More studies need to be done on the effect of reading from screens and personal devices, but all teachers will tell you that nothing beats sustained reading and it is difficult to become immersed in an I-pad when Facebook, Twitter and Angry Birds are beckoning. We need another Harry Potter! We need a new series which will tap into the imagination of children (and adults) around the world. And we need a few years between the publication of the book and the release of the inevitable movie so that kids have to make an effort and read the damned book first! Will the next J.K Rowling please step forward? There have been many poignant novels written about death, many of which involve a child or a parent with cancer. 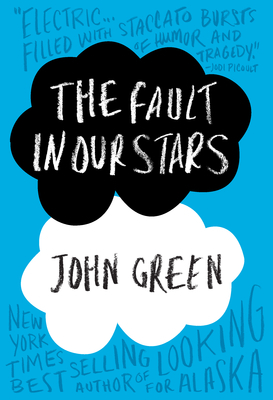 In The Fault in our Stars, well-known YA author John Green provides us with two teenagers with cancer, amidst a cast of grieving relatives and friends. Hazel Grace is sixteen and has Stage IV cancer which has metastasised into her lungs. She breathes with the aid of an oxygen tank on wheels, which she has named “Philip”. She has been sent to a support group of other cancer sufferers to deal with her depression, which is where she meets cancer survivor Augustus Waters. He is good-looking and charismatic, and the two make an immediate connection. Their story becomes a heart-wrenching young love affair, full of poignancy and heartbreak. There is a great deal of dying and cancer-related humour provided by both characters. Written by any other voice, this humour could be classified as distasteful, but coming from Hazel and Augustus the witty comments about cancer and death are funny in an inoffensive yet profound way. The book is beautifully written, with Green depicting all the pain and suffering of various characters with simple elegance. The Fault in our Stars made me laugh, it made me think and it certainly made me cry. Green has captured the essence of pain, numbness and spirit which accompanies a diagnosis of cancer with insightful clarity; as a cancer survivor, I can attest to this. And any parent’s heart will repeatedly break in the scenes involving Hazel and her parents. Green’s understanding of the pain and perplexity of the cancer sufferer is sublime, which is why there is no fault in this superb novel.